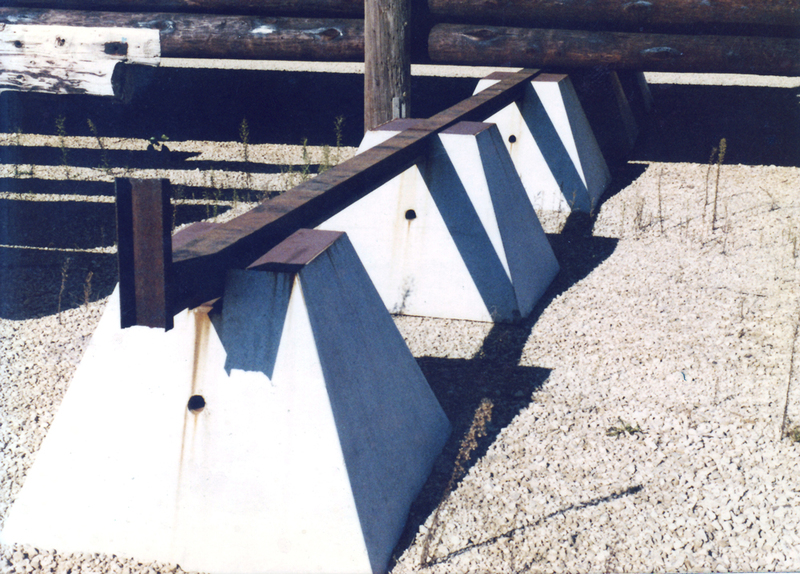 Solid concrete pole yard bunkers sold by Concast will help to organize the pipe in your yard or job site. 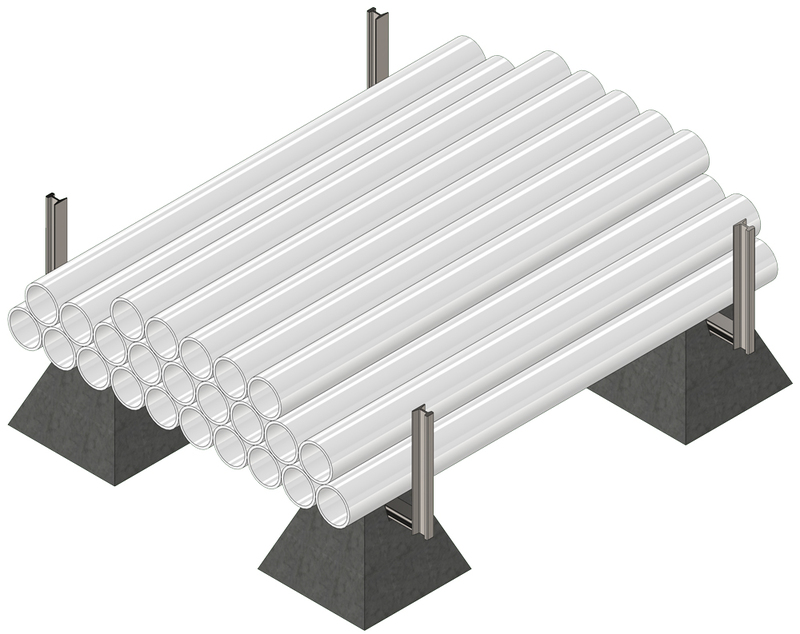 These bunkers (PB-60) are used for organizing items such as electric poles, steel, or PVC pipe in the yard or job site. Quick and easy to set up; this system will help to keep your materials up off the ground and safe. 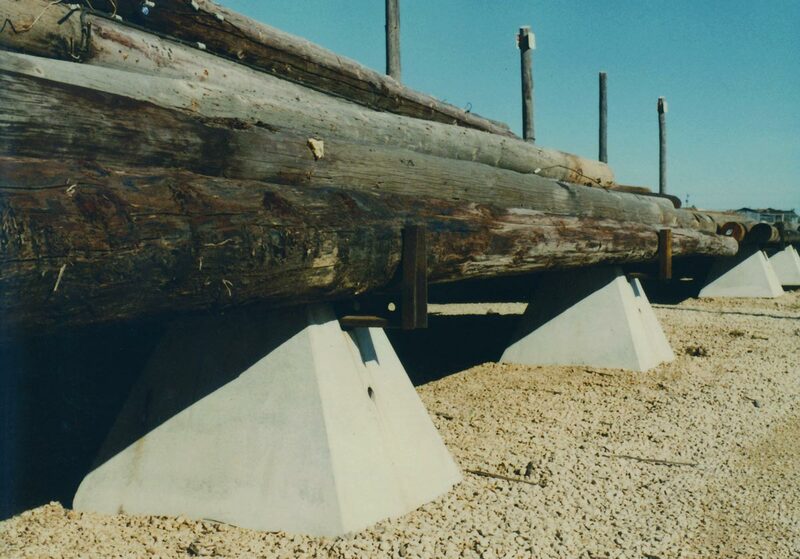 Pole yard bunkers are used for the base, and steel rails (supplied by others) are used as supports. 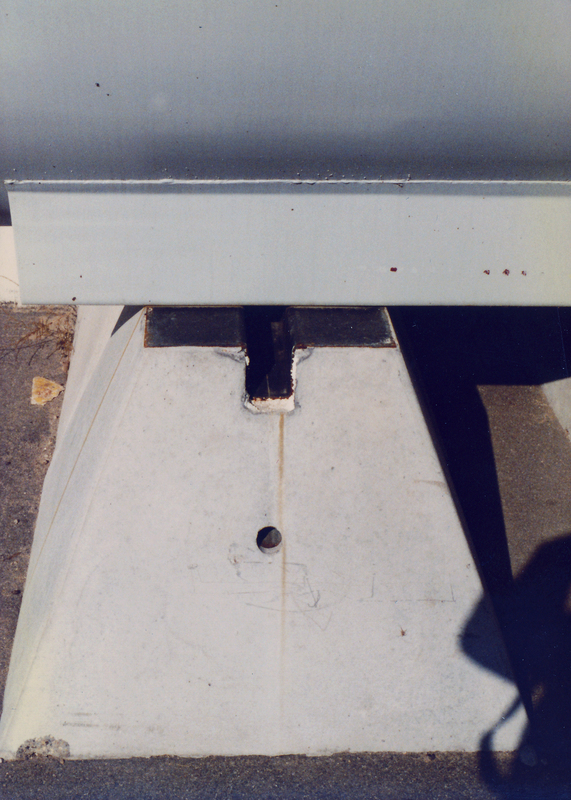 The notch in the bunker is designed to contain an A.S.C.E rail. 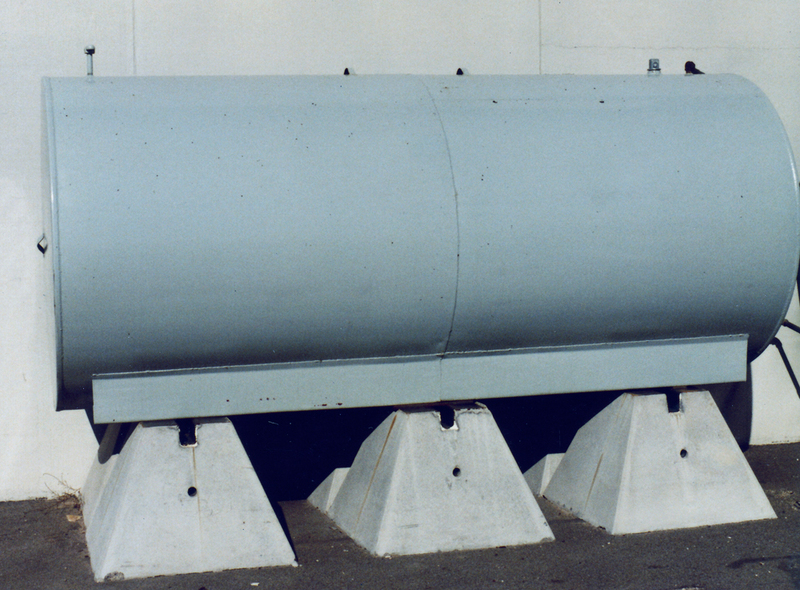 This bunker and rail system will allow you to use a fork lift or other heavy lifting equipment to manipulate your piping materials.